As the Supreme Court heard petitions challenging the constitutional validity of Aadhaar for the second day on 18 January, senior counsel Shyam Divan arguing for petitioners said citizens were being compelled by the government to share their sensitive personal data with private bodies, which violated fundamental rights, including the right to privacy. Divan was addressing the five-judge Constitution Bench, headed by Chief Justice of India Dipak Misra, and comprising Justice DY Chandrachud, Justice AK Sikri, Justice AM Khanwilkar and Justice Ashok Bhushan. Divan raised three issues before the bench — the integrity of the process being followed for the collection of personal and biometric information for the Aadhaar or the Unique Identification (UID) project; the integrity of the information that is collected; and the pervasive violation of fundamental rights. He again raised three issues pertaining to fundamental rights: privacy, personal autonomy of an individual over their body, and compelled speech. Divan showed the court the Aadhaar Enrolment Form, as it existed before the Aadhaar Act 2016. He said there was nothing in the form that disclosed that enrolment was voluntary. Similarly, the form makes no mention of the requirement to part with biometric information. There is no provision for verification when the data is collected, either by the individual or otherwise. There is nothing in the form to indicate the basis of the collection of information. And there is no manner of counselling for the individual to come know of the reasons, advantages and pitfalls of enrolment, which raises the question regarding informed consent. All of this plainly shows the lack of integrity in the process. The senior counsel referred to the question asked by Justice DY Chandrachud the day before, whether there was an objection by any of the petitioners if the collected information was used only for specific purposes. He said the point was that Aadhaar project from its inception was envisaged as a general purpose vehicle. Divan raised the question of how could the State compel a citizen to part with any of this personal information to another private person? “It is a patently defective and unconstitutional information base that is intended to replace the Know Your Resident (KYR) and Know Your Customer (KYC) systems. When the form was used for Aadhaar enrolment, there was no law in force. Why should I be compelled to part with my name, address and gender to the enrolment agency that is a private person”, said Divan. “The form, in its Part B, requires the disclosure of mobile number and the bank account details. The collection of such sensitive information is purely a sovereign function that cannot be delegated to private agencies; the State alone can be trustee of such data” he said. Justice Chandrachud asked whether it would make a difference if the private party was an agency of the government, and Divan replied that there was no question of delegating such an important sovereign function to any private agency. 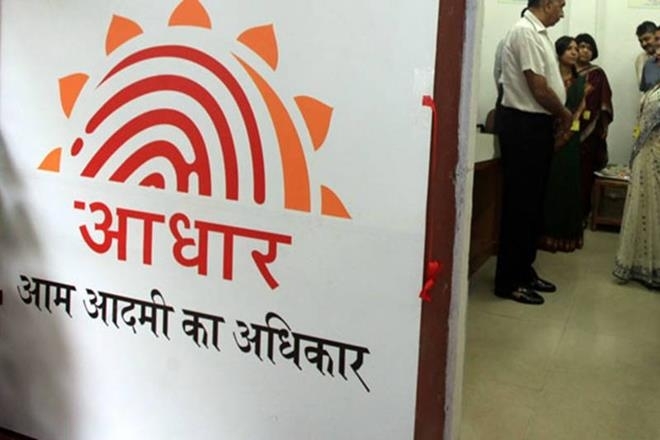 Divan referred to a sting operation conducted by a news channel where three enrolment agencies were asked to release the demographic information collected by them under the Aadhaar scheme, and each agreed to part with the information in return for money. “The information gathered under the project is valuable and of use for commercial purposes like marketing. Clearly it is not secure in the hands of the private players”, said Divan. Justice Chandrachud asked whether there was an opt-out. Divan said there was an affidavit from a person who was forced had to enrol for Aadhaar and communicate his consent to the sharing of the information in order to register his marriage, and was told by the operator that he could not opt out. Divan also refuted the argument that Aadhaar was required for the “purpose” of providing an ID proof to the population. The enrolment form permits three forms of verification – document-based (some other ID proof), introducer mode (requiring verification by an acquaintance, being a person of respect in the society), or based on verification by the head of the family. “Of the 93 crore persons enrolled by 2015, merely 0.03% people have needed to resort to introducer verification. This means that almost every citizen of India has one ID proof or the other,” he said. He said everything about this entire process was unconstitutional. Justice Chandrachud questioned that even when we apply for an insurance policy or a mobile connection, the private insurance agent or the mobile service provider requires proof of address, so what was the issue with parting with that information to the government. The senior counsel then moved to the issue of registrars, who are one wrung above the enrolment agency in the hierarchy. He said according to the UIDAI document, before the legislation, registrars had been empowered to not only collect the demographic and biometric data but also to retain the data, subject to fiduciary responsibilities. Divan then went on to the concept of the “verifier”, explaining that a verifier is supposed to be appointed by the registrars and verify the enrollment documents. And while it is recommended to use government officials for this process, services of an outsourced vendor can also be used. Divan said this model had failed given that 49,000 enrolment centres had been blacklisted. Divan finally came to the the privacy judgment, when a nine-judge Constitution Bench declared privacy as a Fundamental Right, protected under Article 21 (protection of life and personal liberty) of the Indian Constitution. The nine-judge bench had included Justice Chandrachud. Divan said the judgment had grounded the right to privacy in ideas of dignity, autonomy and identity, which pervaded our Constitution. He said the privacy judgment articulated the right to personal autonomy, and said that decisions affecting an individual’s life ought to be left to the individual. Divan argued that in a digitised world, the government must be an ally of citizens and not the adversary. Therefore, it is the responsibility of the State to ensure that privacy interests are protected against corporations and other such interested parties. He also said the judgment had articulated the right to informational self-determination and informational privacy. The senior counsel pointed out that the privacy judgment talks about how civil and political rights as well as socio-economic rights as complementary. The privacy judgment had established that privacy was not just the privilege of the elite, he said, while pointing to the part of the judgment that emphasised the importance of judicial review for protection of individual right.